Trading is a roller coaster ride owing to the share markets’ volatility. Investors have a motive of long-term wealth creation, whereas traders buy and sell securities more frequently and hold positions for much shorter periods to earn quick profits. Trading is a roller coaster ride owing to the share markets’ volatility. Investors have a motive of long-term wealth creation, whereas traders buy and sell securities more frequently and hold positions for much shorter periods to earn quick profits. 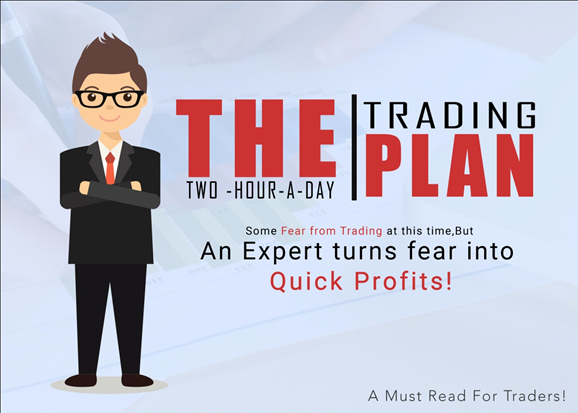 In intraday trading, the time frame is very short and hence, the time of the day when a trade is made is an essential factor to consider. The two critical hours of the trading day are the opening hour in the morning and the closing hour in the evening. The trade volume is very high as soon as the stock market opens up in the morning, and there is a tremendous rush of programmed trades being executed. The reason being the thousands of trades that were placed after the closing bells of the previous trading day. Also, many contributors are part-time traders, who, after coming from office, follow stock market tips and use stock trading apps to place trades for the next day. Volumes and prices go wild in the opening hour of the share market. All developments happening around the world after the closing bells can impact the markets. This contributes to price volatility. A trader, in the beginning, can suffer serious losses during this period. Hence, they are advised to avoid trading at this time. However, skilled traders, based on their experience, can identify appropriate opportunities to make a move and can earn quick profits. The opening hour is the prime time for seasoned day-traders. It provides an option for the biggest moves of the day in the shortest period. Assume that, in the evening, the government announces a significant contract offered to Tata Motors to deliver electric vehicles. As a result of this news, there would be an exponential rise in demand for Tata Motors shares. Many trades for buying its shares next day will be placed. Due to high demand, the price of its shares will be sky-rocketing the next day. Now, this provides an option to the seasoned traders holding Tata Motor shares to time the market and sell some of their shares for a maximum profit. On the other hand, a rookie trader may end up paying very high price for purchasing the shares. The last hour of the day also sees a similar increase in volume and price volatility. It is because intraday traders intend to end their day without any stock positions. Hence, they sell their positions at the fag end of the day. Also, some investors’ intend to buy goods at the end of the day and sell it the next morning. So, all these lead to increased demand during the closing hours too. So, the bottom line is that the first and the last hours of the day are the busiest in the Indian share markets and offer many opportunities. If an individual has enough market experience and is ready to take the risk, then these two hours are the best time for him/her to trade. However, for a beginner, it is advisable to act cautiously and seek advice or knowledge before investing.